News to us: Eli Roth (the director of Hostel) is going to be making Thanksgiving into a feature film. 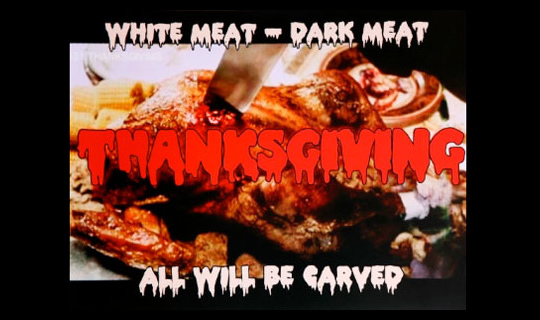 Based on the promising "fake" trailer he directed shown during the "intermission" of Grindhouse, Thanksgiving is an homage to 80s slasher films. Here's the setup: "In the historical town of Plymouth Massachusetts, a deranged killer dressed like a Pilgrim goes on a killing spree on Thanksgiving day." It'll certainly have that retro-cool factor, but as evidenced by the trailer (and by Roth's previous work), it's going to be a total gore-fest. 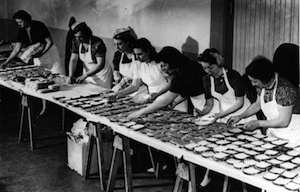 Gotta love lines like "This year there will be no leftovers" and "White meat, dark meat. All will be carved." i would love to be a part of a grindhouse film. i watch all the "fake attractions" and the real ones. and im fascinated with these types of moviess!! !